Tax practitioners say their clients remain panicked and concerned about the ‘expat tax’, despite National Treasury adopting a relatively softer stance. “I see a lot of panic coming our way,” Bari Duvenhage, personal tax specialist at Regan van Rooy, told delegates at the Tax Indaba. She says expats are unsure how it will impact their tax burden. Many people have no real understanding of the concept of tax residency. In the February 2017 budget, Treasury proposed that a South African tax resident working abroad for more than 183 days a year (of which 60 days are continuous) would in future be fully taxed in South Africa and would only be eligible for a tax credit to the extent that tax was paid offshore. After a public backlash, it revised the proposal so that the first R1 million of foreign remuneration would be exempt from tax in South Africa. The implementation of the amendment – previously scheduled for March 1, 2019 – was postponed to March 1, 2020. Treasury is of the view that the previous foreign employment tax exemption was too generous, and that it could result in double non-taxation. South Africans working abroad will escape the tax change if they are not considered tax residents in South Africa or deemed to be resident in a foreign country because of a double tax agreement (DTA) (or fall below the R1 million threshold). Arlette Manyi, tax risk manager at the FirstRand Group, says people did not anticipate the change to have come as abruptly as it did and hoped there would be more consultation. There are still a lot of practical issues that they don’t have clarity on. In some instances, the impact can be a “nightmare”, Manyi says. Jonty Leon from Tax Consulting SA reiterates “the same sort of feelings of panic” from clients. 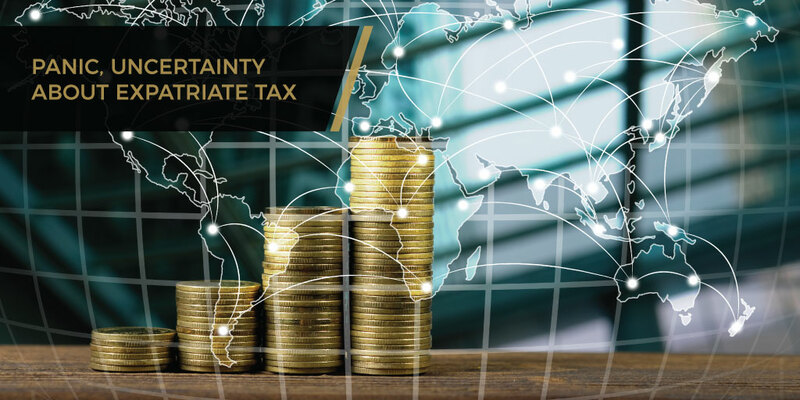 Duvenhage says people break their South African tax residence if they are no longer ordinarily resident, or if they are considered a tax resident in another country through the application of a double tax treaty. The complication with paying tax on foreign income is that the ‘ordinarily resident’ test is very subjective, she says. In terms of the new provision it is unclear what would happen if an individual leaves South Africa, goes to another country (say Malawi), breaks their tax residence through the application of a tax treaty and pays their capital gains tax (CGT) exit charge, but comes back five years later. Will they be considered a resident? In some cases, individuals may not know whether they want to retire in South Africa or if it is the country to which they will return at the end of their wanderings. Duvenhage says the tax change is a bit too advanced for the South African tax system. While expats could escape the tax through the application of a DTA, it can be quite complex to apply. A lot of South Africans have opted for financial emigration instead, thereby breaking their tax residency, Leon says. But this may come at a significant cost for some individuals as financial emigration requires them to pay a CGT exit charge. Graeme Saggers, tax director at Nolands SA, says people who earn less than the R1 million threshold are probably in that sphere where breaking tax residency is an option, but for CEOs and C-class executives the CGT exit charge could be significant. In instances where a person is on assignment on behalf of an employer, there may also be an expectation that the employer should pay the CGT exit charge or the additional taxes that will be incurred, Manyi says. “There [are] a lot of practical aspects that haven’t been considered,” she says. Tax practitioners have also expressed concern about the onerous process of claiming tax credits and warned that the change could deter companies from investing in South Africa due to the high employment cost. The South African Revenue Service (Sars) has previously expressed concern about the vast non-compliance by many South African expats living abroad.